visitors with the development of their golfing skills. Craig offers a variety of programmes, including individual lessons all the way through to 9 hole golf lessons. ½ hour lessons start from £25. Please call Craig at the Professional shop to discuss the best tuition programme specific to your individual requirements. The extensive practice facilities at the Roxburghe include a driving range, short game area including bunkers and practice putting green. Tokens are available to purchase from the Pro Shop. The Roxburghe Golf Club welcomes juniors of all ages. Our aim is to give youngsters a fun and welcoming environment to learn to play golf and help develop junior golfers to become lifelong golfers. Our practice range and short game area offers an ideal location to learn the game through our PGA Professional. Our PGA Professional Craig Montgomerie is on hand to assist our junior golfers to develop their games and participate in both fun and a competitive environment without forgetting the most important factor in golf – HAVE FUN! 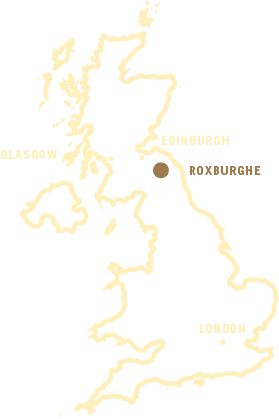 Become a ‘Wee Roxy’ member for only £100 per year and get full access to the practice facilities. All Wee Roxy Junior members have access to the golf course after they have gained a handicap and our PGA Professional is happy that you are ready to take your first steps onto the golf course.